A herniated or diseased disk can place pressure on the spinal cord and nerves, leading to radiating pain and discomfort. To help patients suffering from these spine issues, Dr. Luis M. Tumialán performs posterior cervical foraminotomy at his Phoenix, AZ, practice. Dr. Tumialán is a respected leader in the field of spine surgery. He uses this innovative, minimally invasive procedure to relieve nerve compression in the cervical spine without the need for fusion. Posterior cervical foraminotomy is an alternative surgical procedure to anterior cervical discectomy and fusion (ACDF). Both of these surgeries are performed to treat symptoms arising from cervical spine disease, a fairly common health issue in adults. The condition involves the compression of spinal nerves in the neck. Symptoms range from mild neck pain to severe numbness in the hand, and shooting pain through the shoulder, arm, and hand. Some patients also experience significant weakness of their arm or hand. In most cases, patients can be successfully treated without surgery. However, some patients have symptoms that persist despite conservative treatment, or resulting issues become severe enough that surgery is recommended. The most comprehensive procedure to address degeneration in the cervical spine involves an anterior approach. In such a procedure, Dr. Tumialán accesses the treatment area through the front of the neck. Through the incision, he is able to remove disc material from the spinal segment. It is the removal of this disc material that decompresses the nerves and alleviates the pain caused by their compression. Dr. Tumialán is a respected leader in the field of spine surgery, and uses this procedure to relieve nerve compression caused by a herniated disc in the cervical spine without the need for fusion. 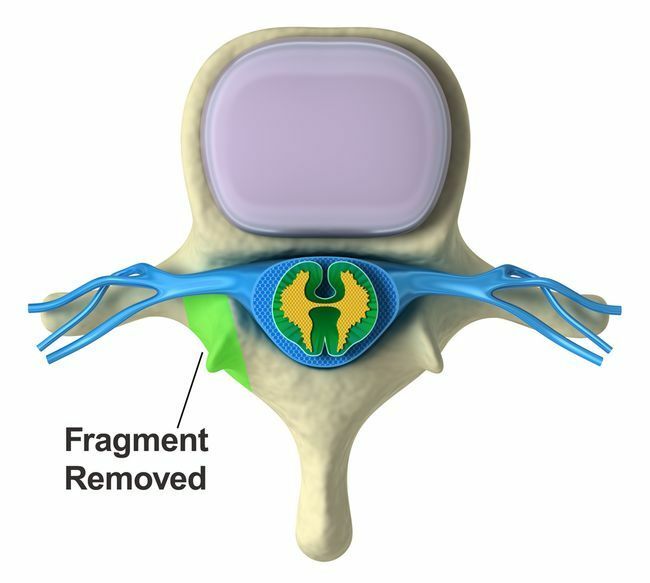 After the decompression either an artificial disc or fusion is performed at the level. However, not all patients need to be treated with an anterior approach. At times, unique circumstances arise where patients may be candidates for minimally invasive motion preserving approaches. Minimal access surgery on the posterior cervical spine is one of Dr. Tumialan's areas of special interest. It was an area of intense focus during his time in the military when his practice revolved around getting active duty personnel back to full duty. Posterior cervical foraminotomy can be as effective as ACDF surgery without requiring a fusion procedure. 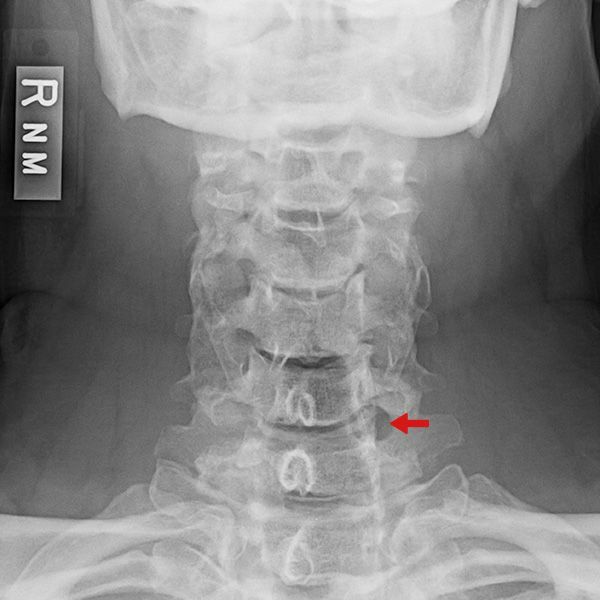 If you have a small or moderately herniated disc and foraminal stenosis (narrowing of the cervical disc space) at one or two levels, then you may be a candidate for posterior cervical foraminotomy. However, this treatment is not recommended for patients with cervical kyphosis, severe neck pain, or large herniated discs. Posterior cervical foraminotomy is performed under general anesthesia. The patient is placed face-down on the operating table, and Dr. Tumialán makes a 14-16 mm incision on the back of the neck, which is the size of a dime. Using special instruments, he separates the soft tissue on the side of the spinal cord compression. He will then remove a small amount of bone to access the compressed area. If the compression is due to disc material, he will gently lift the nerve root, remove the disc material, and widen the foramen. He will then close the incision. Because this technique is a minimally invasive procedure, many patients can be discharged on the same day of surgery. Posterior cervical foraminotomy relieves spinal pressure and allows the nerves to function properly with minimal bone removal. With Dr. Tumialán's minimally invasive approach, patients can heal more quickly, and face fewer risks and complications. The procedure relieves symptoms in 85 to 90 percent of cases. Most patients will notice immediate improvement of some or all of their symptoms. For others, symptoms may improve more gradually. The procedure has a low incidence of risks. However, complications can include anesthesia problems, bleeding, infection, stiffness of the neck, repeat disc herniation, incomplete relief of symptoms, and damage to nerve roots or spinal cord.